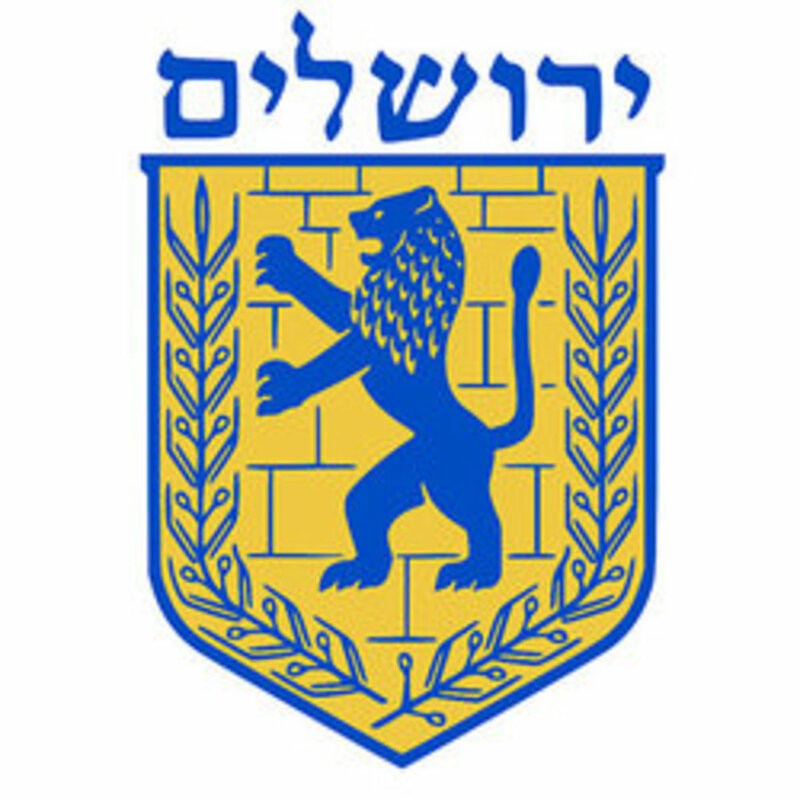 City of Jerusalem Logo displays the Lion of Judah, the Western Wall of the Temple Mount and olive branches. 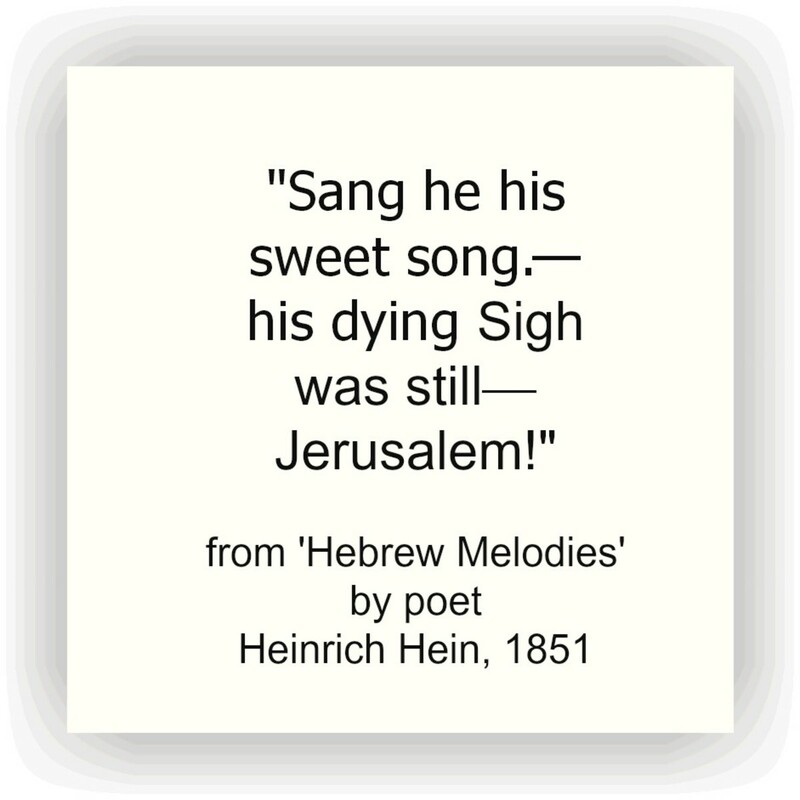 Read poems about Jerusalem from ancient to modern, including Jerusalem songs & liturgical poetry in English translation. View Jerusalem photos, videos & art. 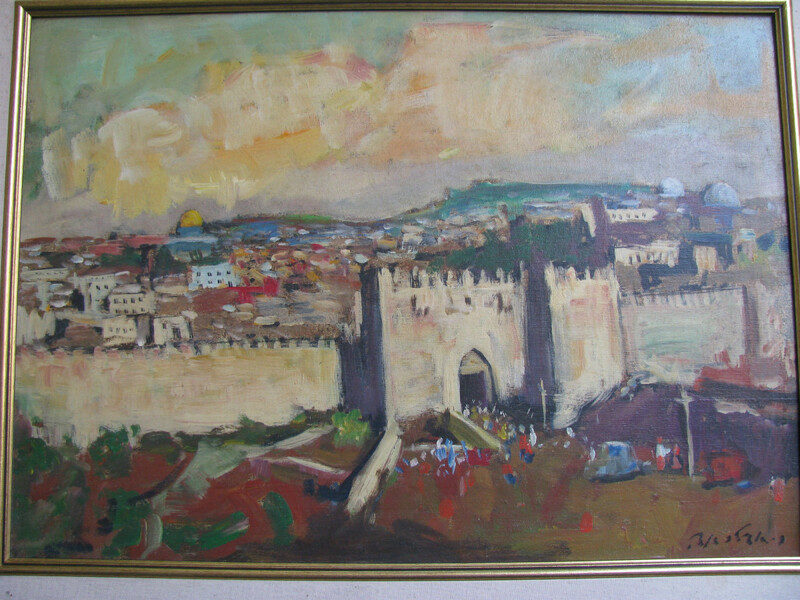 Poems about Jerusalem are central to Judaism and its liturgy. Songs were composed from liturgical poetry at least since the days of Jacob, before the Exodus of his descendants from Egypt. Many of the Psalms written by King David were for the explicit purpose of worshipping the God of Israel. 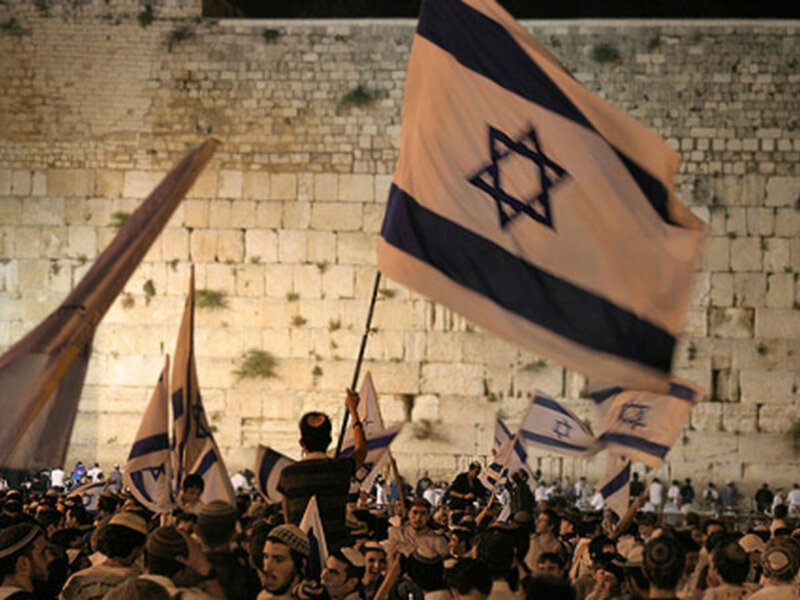 Celebrating Jerusalem with poems and songs is a national holiday in Israel called Jerusalem Day (Yom Yerushalayim). You'll find the favorites in this collection. The holiday begins at sundown on Saturday, May 16, 2015, and concludes at sundown on May 17th. 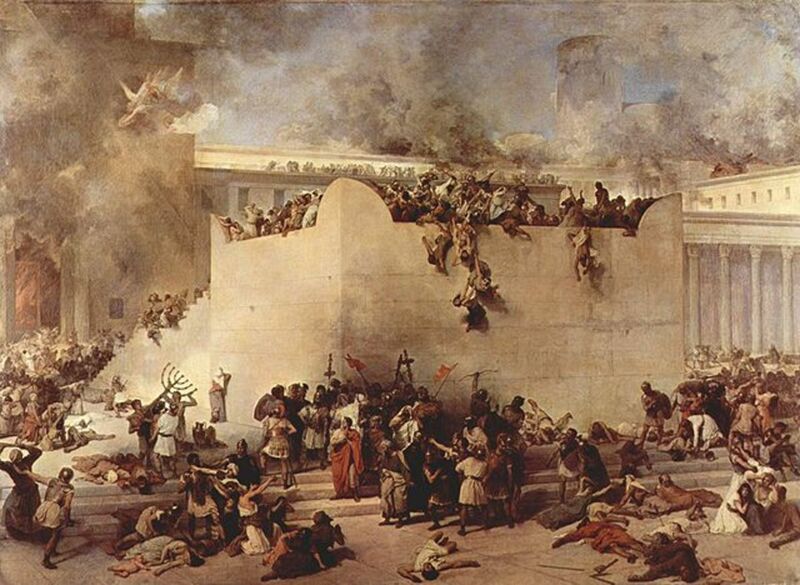 On Tisha B'Av (the ninth day of the Biblical month of Av), people all over the world participate in a one-day fast commemorating the destruction of the First and Second Temples in Jerusalem. This year, Tisha B'Av begins at sundown on Saturday, July 25, 2015, and concludes at sundown on July 26th. Several of the poems included here are always read on this day. The first historical mention of Jerusalem as a Holy City comes from the Bible, during the days of Abraham (early second millennium BCE). The city was called Salem, which means peace. The word uses the same root of the Hebrew word for Shalom and for the proper names Solomon and Shulamith. "And Melchizedek king of Salem brought forth bread and wine: and he was the priest of the most high God. "And he blessed him, and said: 'Blessed be Abram of the most high God, maker of heaven and earth; And blessed be the most high God, Who has delivered your enemies into your hand'. "And he gave him a tenth of all." The word Melchizedek means righteous king. 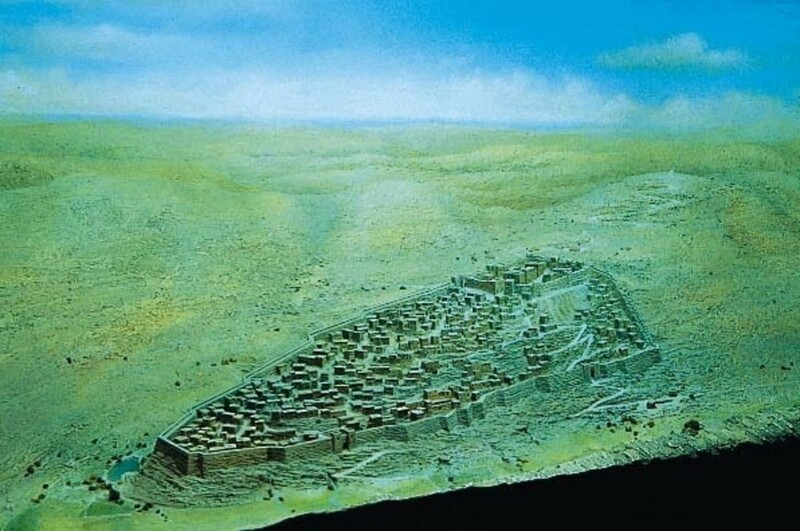 The city was captured by the second king of the Tribes of Israel, King David, in the year 1000 BCE, and became and has since remained the central city of worship in Judaism. 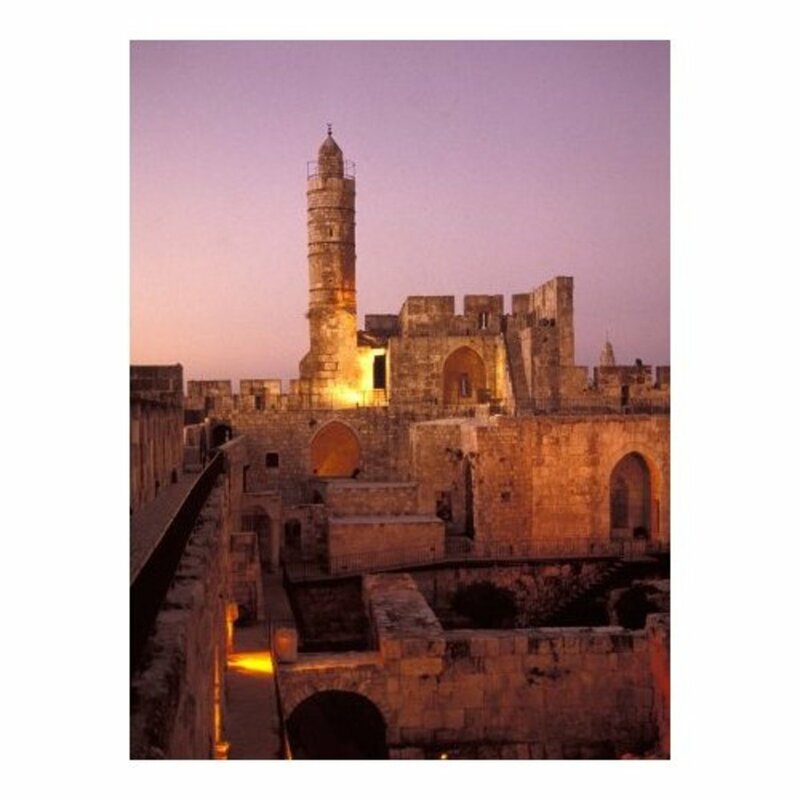 Jewish families have lived in Jerusalem continuously for more than 3,000 years. 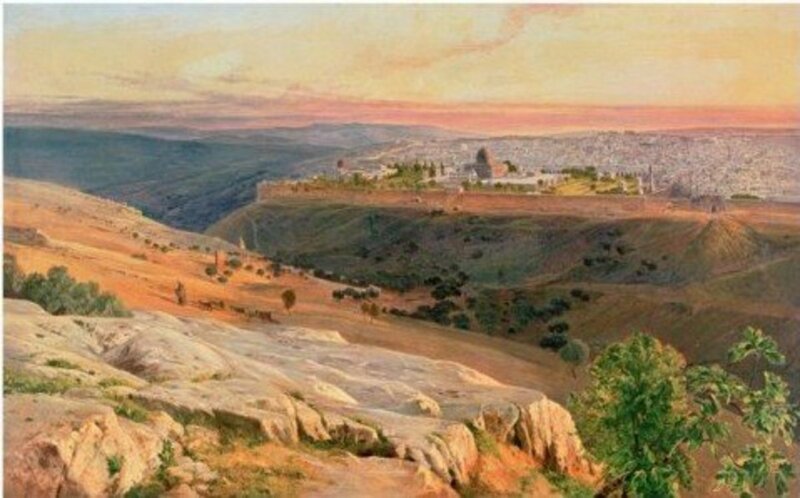 The walled city of Jerusalem in the days of King Solomon, the son of King David. The Temple complex is in the walled enclosure at the top. "Truly, it is I Who has established My king upon Zion, My holy mountain." Before the First Temple was built, King David brought the Ark of the Covenant to Jerusalem where it was housed on Mt. Moriah in a tent. The site, known today as the Temple Mount, was purchased by King David and the deed is recorded in the Biblical Book of I Chronicles. 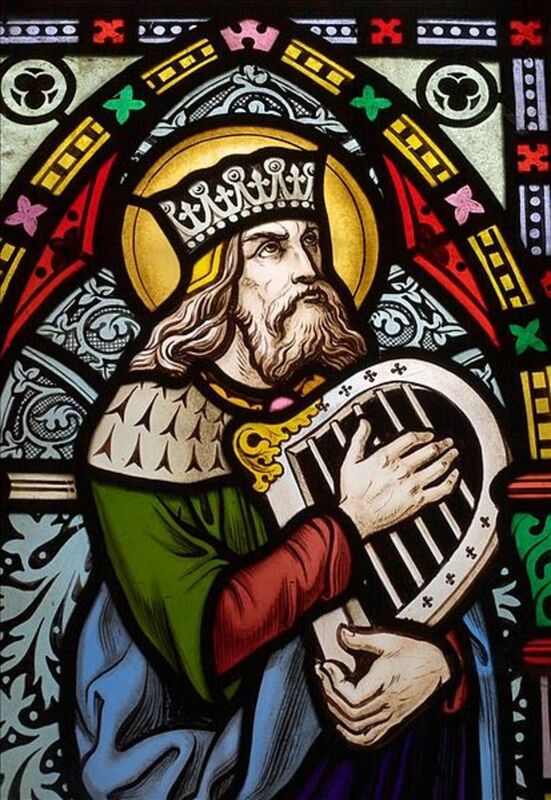 "David and all the house of Israel were celebrating before God will all kinds of instruments made of cypress wood, and with lyres, harps, tambourines, castanets and cymbals." 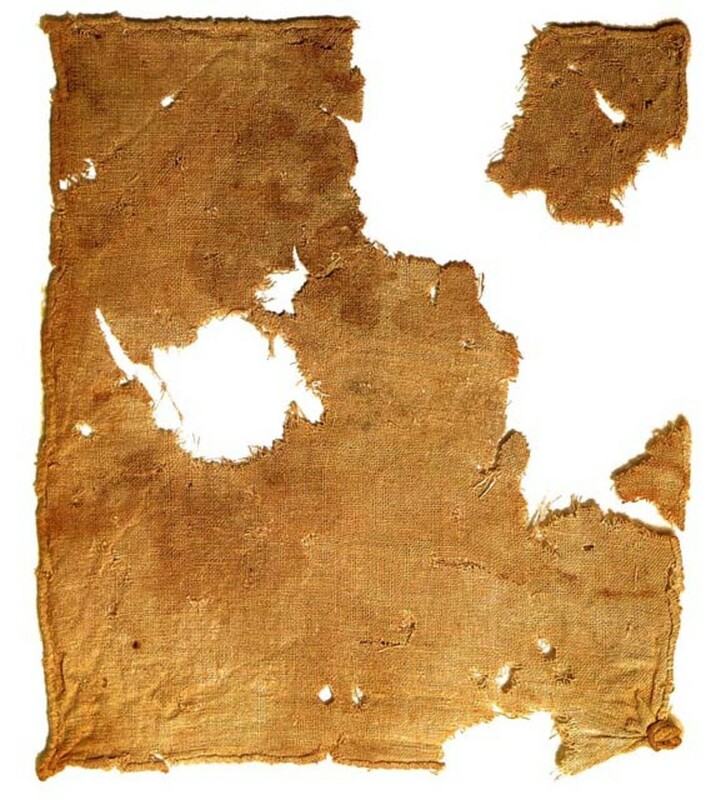 This Psalm of King David is attributed to the day the Ark was brought up to Jerusalem, and remains as one of the most famous poems about Jerusalem. To give thanks unto the Name of God. More than 70 Psalms are directly attributed to King David and he is the most well-known and the most quoted poet in human history. 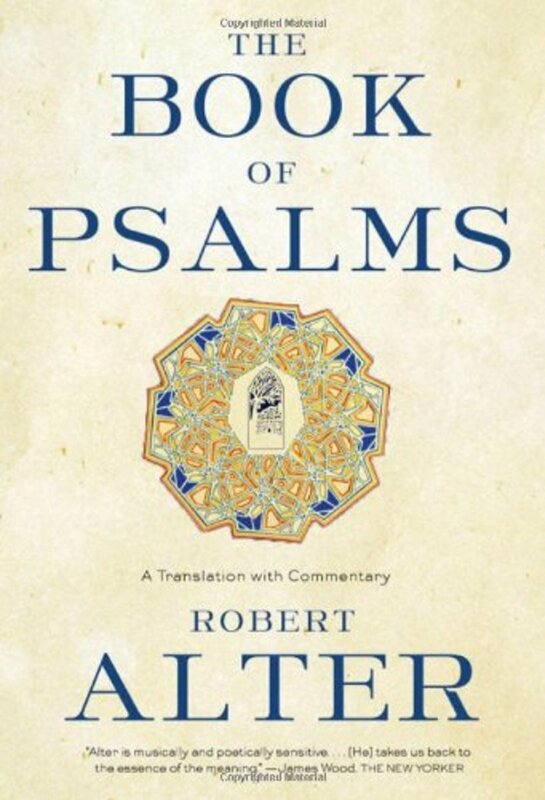 Since publication in 2009, and acclaimed as one of Newsweek magazine's 'Best Books of the Year', this translation of the Hebrew Book of Psalms is considered a masterpiece. The translations and commentary are by Robert Alter, retired Professor of Hebrew and Comparative Literature at the University of California, Berkeley. Not only are the translations true to the original Hebrew and to their historical context, without bias, but the essence of the poetry is captured. Go read 50 stellar reviews of this book and look inside. "Now when evening came David arose from his bed and walked around on the roof of the king's house, and from the roof he saw a woman bathing; and the woman was very beautiful in appearance. So David sent and inquired about the woman. And one said, "Is this not Bathsheba, the daughter of Eliam, the wife of Uriah the Hittite?" David sent messengers and took her, and when she came to him, he lay with her." ------------------------ Where it was truly born. Bottom-feeding when the cup is empty? What could I say but that I am not free? Decisions only he can make for us. The parapet and has caught sight of me. This poem was originally published in The Harbinger, as a winner in the competition sponsored by the University of South Alabama. Read the full story of King David and Bathsheba. 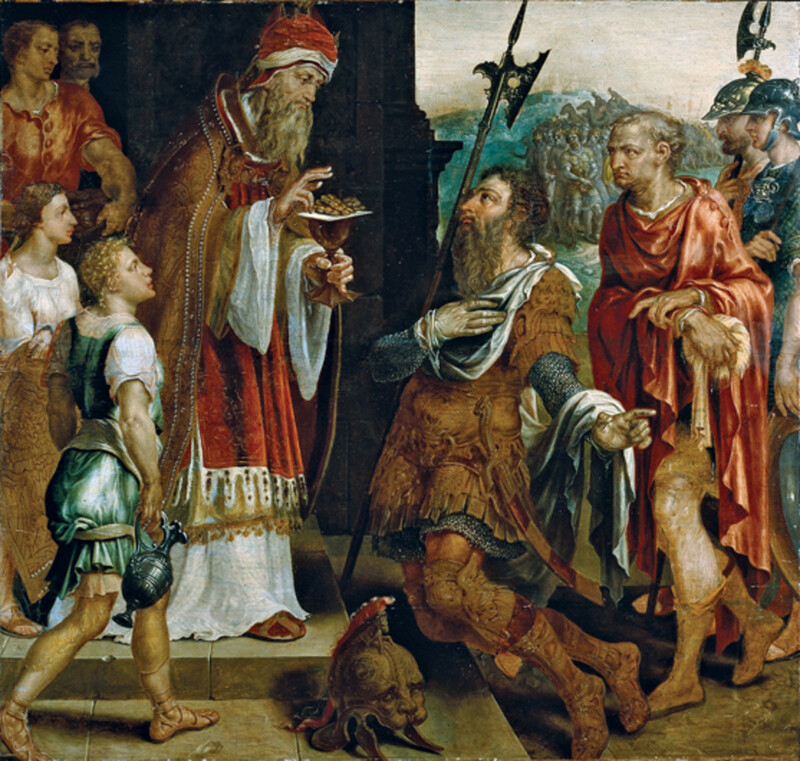 The second son born to King David and Bathsheba was named Solomon and he assumed the throne as anointed heir after the death of David. True to his Davidic lineage, Solomon was a poet. The most famous love poem in the world, Shir HaShirim, is attributed to King Solomon or to his sponsorship. The literal translation of Shir HaShirim is Song of Songs, but the poem is also known as Canticle of Canticles, Canticles and Song of Solomon. The poem contains 117 verses in eight chapters, and it is read in its entirety on Friday evenings in Jewish synagogue services and on the Sabbath during the Passover holiday week. The narrative takes place in Jerusalem and its environs and speaks to the 'daughters of Jerusalem' as an audience. 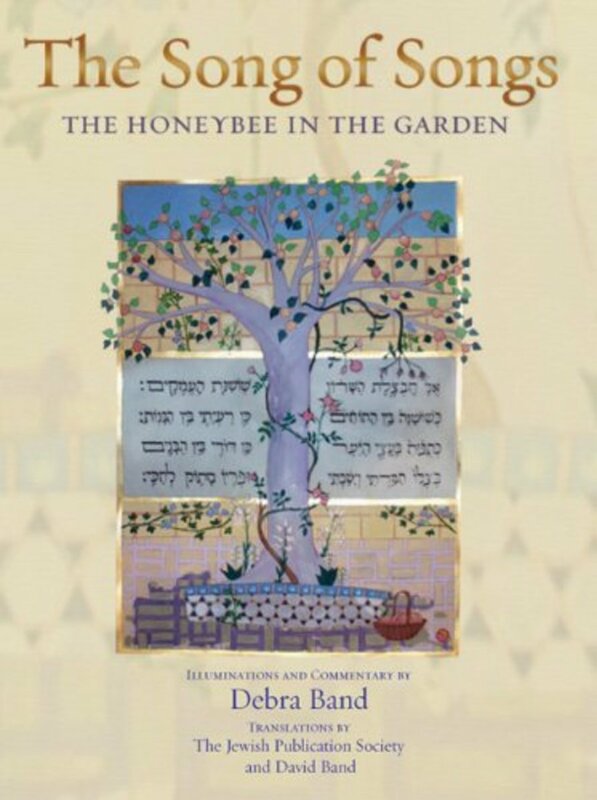 This remarkable English translation of the complete Song of Songs is presented with 65 illuminations by the artist Debra Band. This book is a celebration of the love poem and is a perfect wedding gift or anniversary present. This book is a collector's item and it includes a verse-by-verse commentary. Click to see the video review. Sterling Silver is an affordable choice for rings for men and women. This featured ring has the Bible verse written in Hebrew letters. This inscription is used for rings for men and for women. 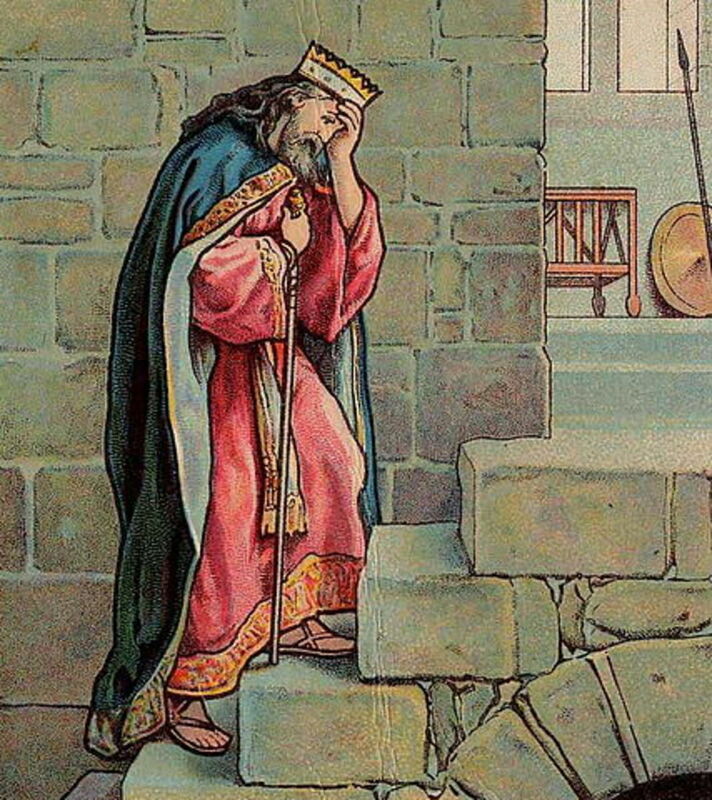 King Solomon built the first Temple for the God of Israel, following the plan his father made. Solomon's Temple stood for 410 years, until it was destroyed in 586 BCE by the Babylonian army of King Nebuchadnezzar II. The destruction of the Temple is described in the poem Eicha, the Biblical Book of Lamentations, written by the prophet Jeremiah. This 154 verse poem is read every year in synagogues and at the Western Wall of the Temple Mount in Jerusalem on Tisha B'Av, the memorial day of the Temple's destruction. 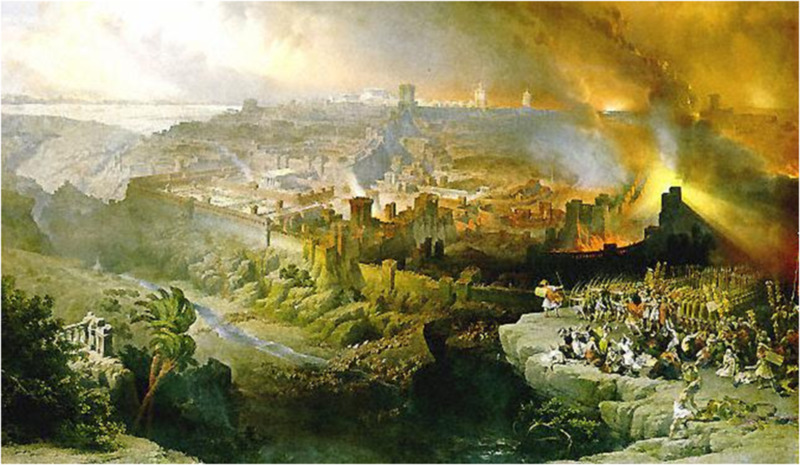 The destruction of the Temple led to a 70-year exile in Babylon. All her pursuers overtook her within the straits. Biblical Psalm 137 is one of the most famous in the Hebrew poetry canon. It was written after the exile to Babylon which began in 597 BCE. 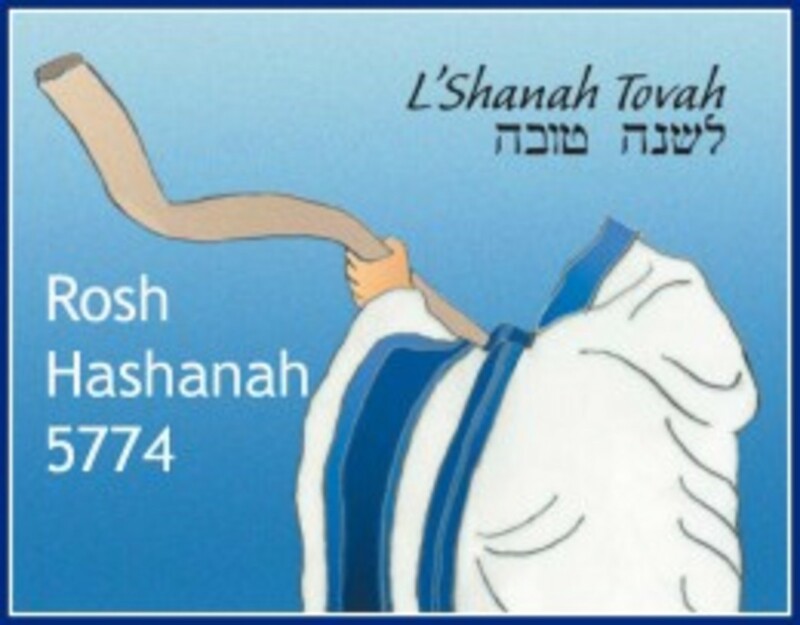 It is chanted every year on the Jewish religious fast day of Tisha B'Av, which commemorates the date of the destruction of both the First and the Second Temples in Jerusalem. It is also the poem responsible for the custom of smashing a wine glass at a Jewish wedding. The lines, 'If I do not remember you/ If I do not set Jerusalem/ Above my chief joy' is alluded to on a Jewish wedding day so that even the joy of a wedding cannot be considered a complete joy because of the condition of Jerusalem. 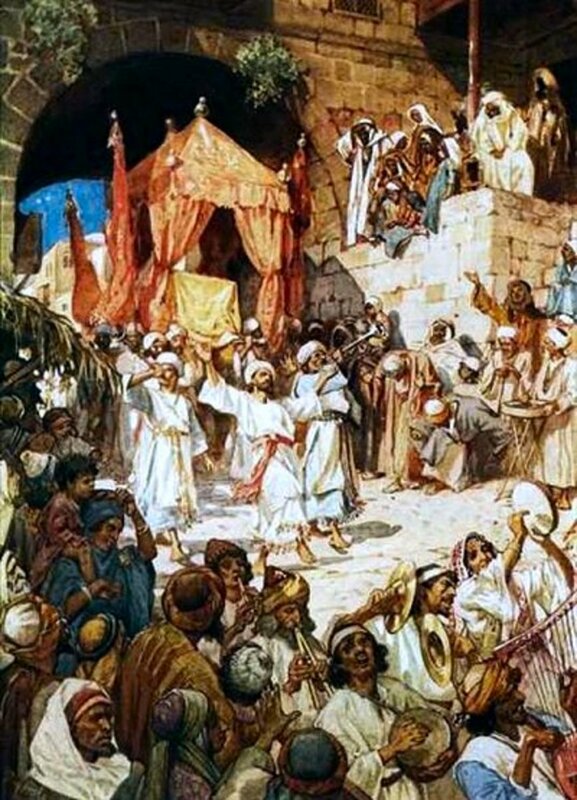 Once a desolation and a deserted city, Jerusalem is invoked with sadness at a Jewish wedding today because there is no house for God to dwell among his people and with His bride, the City of Jerusalem. May my right hand forget her skill. 1 Edom is the Biblical kingdom of the descendants of Esau, the twin brother of Jacob, known today as the Hashemite Kingdom of Jordan. Jewish composer and songwriter Stephen Schwartz wrote the music for Psalm 137 in the Broadway musical score for Godspell. Hear the song, On The Willows, from the movie version of the musical. From the expulsion of the Ten Northern Tribes of Israel by the Assyrians in 733 BCE and the deportation of the Tribe of Judah to Babylon, few returned to the land of Israel when permission was granted by the Persian King Cyrus to rebuild the Temple. There were more descendants of Israel living outside the land than within, as it is to this day. 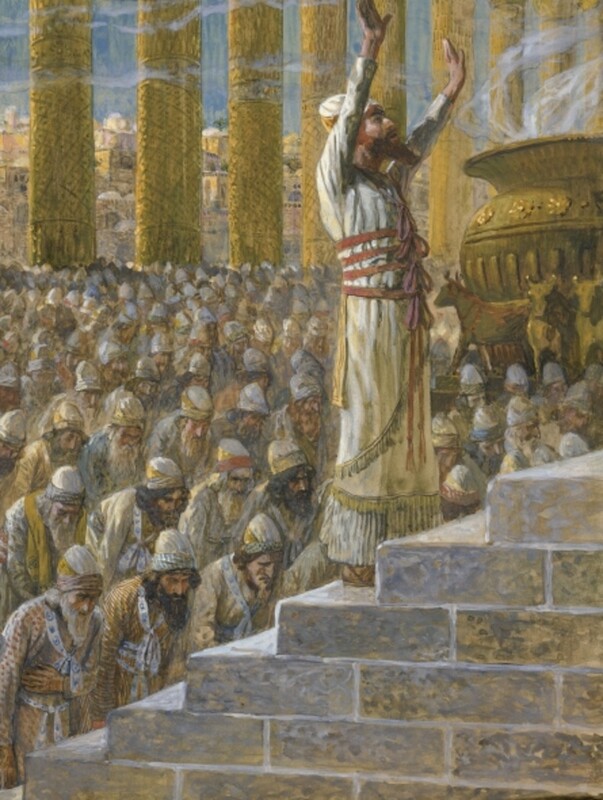 More than 42,360 people made the four-month journey from Babylon to Jerusalem to rebuild the Temple, under the direction of Nehemiah, the prophet. 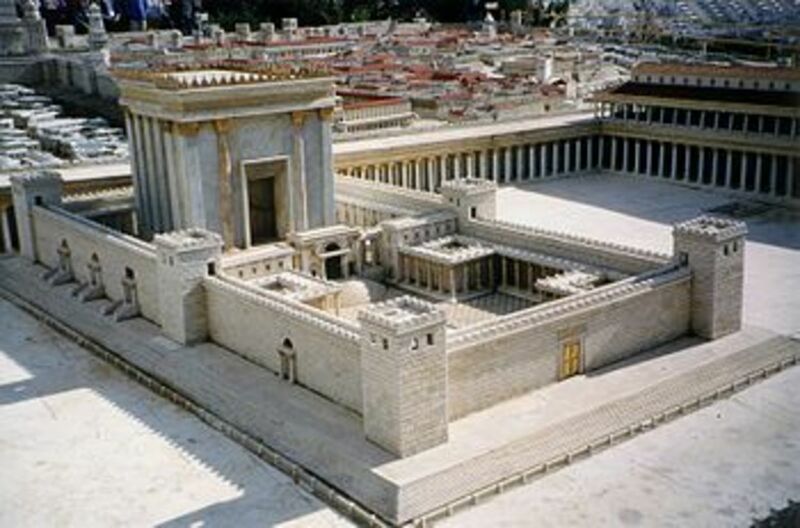 The Second Temple was completed in 516 BCE and stood until 70 CE when it was destroyed by the Roman armies under Titus. The treasures of the Temple were taken to Rome and used to fund the Colosseum. The hope that is two-thousand years old,." 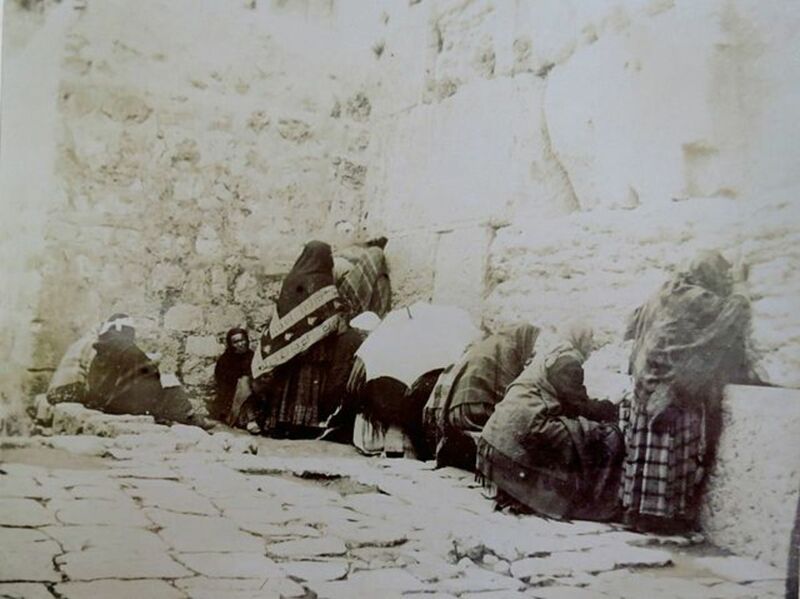 Some of the walls of the Temple compound survived the destruction, the most famous of which is the Western Wall (referred to in past generations as the Wailing Wall because it was the site where pilgrims mourned the Temple's destruction and the loss of Jewish sovereignty over Jerusalem.) 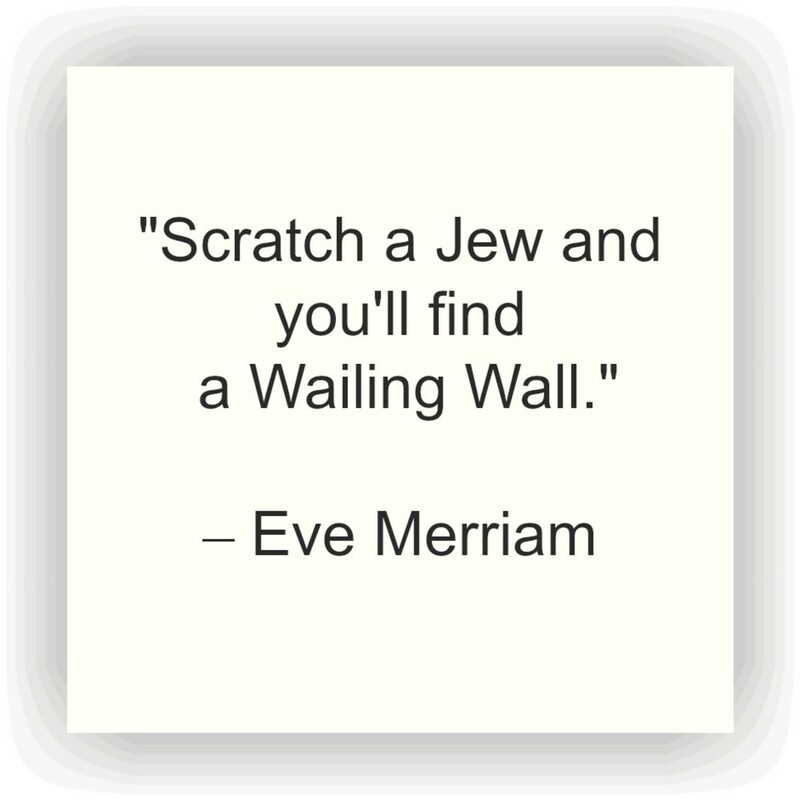 The Western Wall is called the Kotel in Hebrew. Since the days of King Solomon, the Tribes of Israel journeyed to what is now present-day Spain and established many colonies there. After the Roman conquest, many Jews made their way to ancient Spain. In Medieval times, Jews enjoyed a 'Golden Age' in Spain, until their persecution and forced expulsion in 1492 by the Roman Catholics King Ferdinand and Queen Isabella. 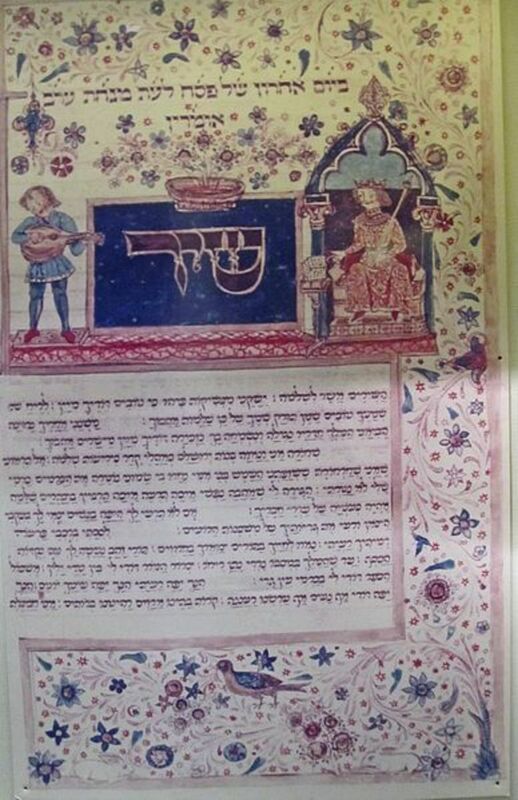 During the Golden Age, Hebrew poetry flourished in Spain. 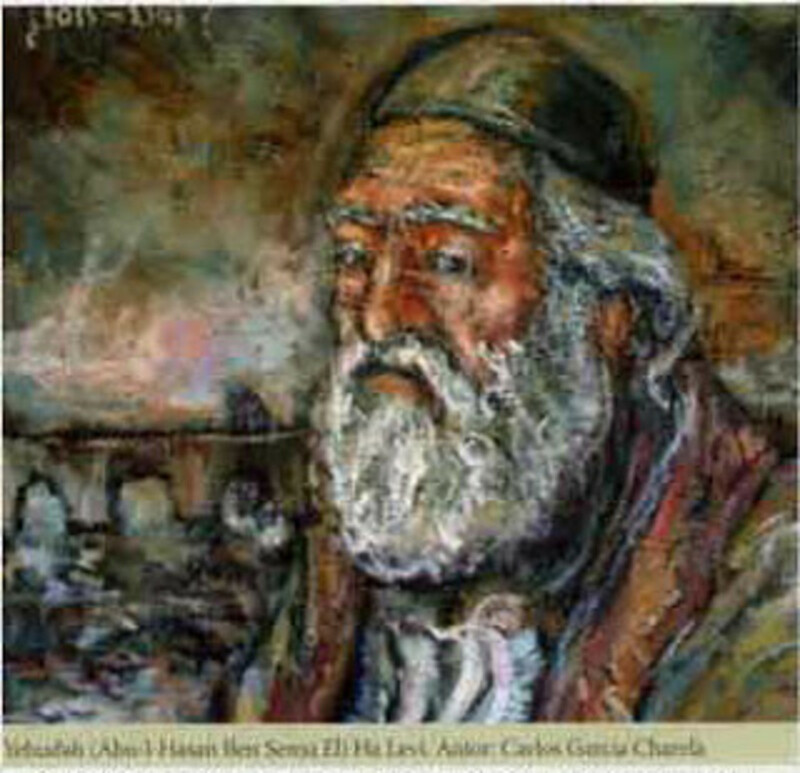 The most well-known Hebrew poet of this time was Yehudah (Judah) HaLevi. Many of his poems survive in the liturgy of the Jewish Prayer Book. His famous line "My heart is in the east, and I in the uttermost west" has become the byword of the Jewish Diaspora. HaLevi was born in Toledo, Spain, in 1075. 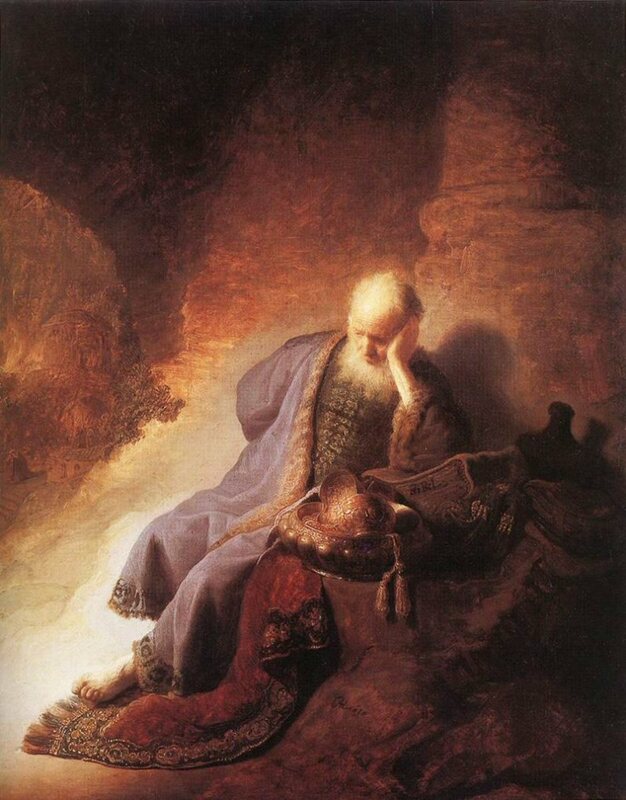 In 1141, he realized his life-long dream of traveling to Jerusalem. Upon entering Jerusalem, he was killed by an Arab. This is the English translation. Click to look inside at the selections in the book. My heart longs for you from the far-off west. I am very sad when I remember how you were. Now your glory is gone, your homes destroyed. I would soak your soil with my tears. The poetry of Yehuda Halevi examined by Israeli writer Hillel Halkin. I found nevertheless that a dread of departure seized a hold of me. And I found His name in my heart a sustainment. And at every step I thank Him. 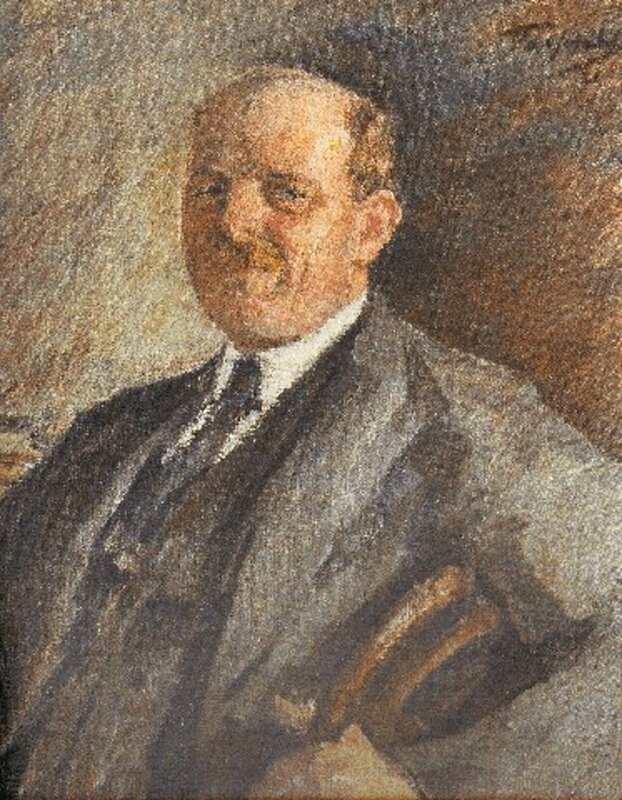 Hayyim Nahman Bialik was born in 1873 in the Russian Empire. He published his first poem at age 19, which led to a literary career culminating in the award of Israel National Poet. 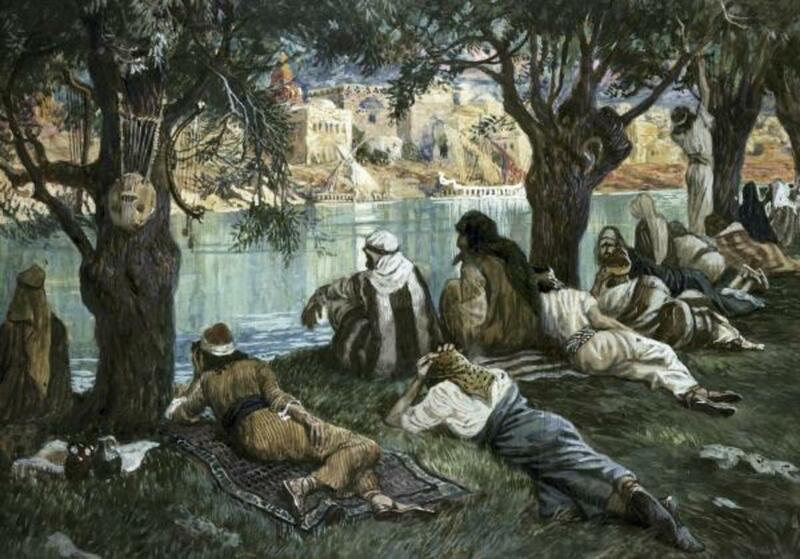 A deeply religious youth, his first poem revealed his longing for Jerusalem. While still in Russia, we was asked to interview Jewish survivors of the Russian Pogroms in the early 1900s. 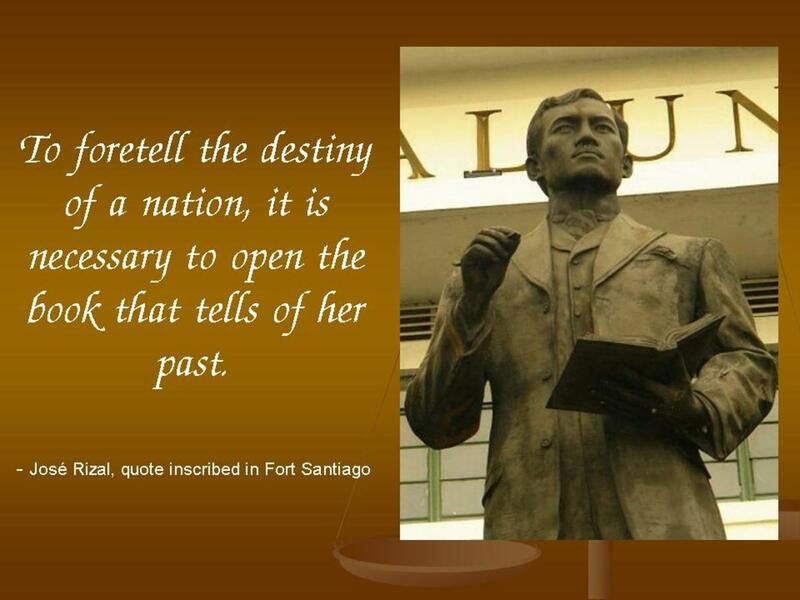 That experience changed his life and his destiny. "The anti-Jewish riots in Kishinev, Bessarabia, are worse than the censor will permit to publish. There was a well laid-out plan for the general massacre of Jews on the day following the Russian Easter. The mob was led by priests, and the general cry, 'Kill the Jews,' was taken-up all over the city. "The Jews were taken wholly unaware and were slaughtered like sheep. The dead number 120 and the injured about 500. The scenes of horror attending this massacre are beyond description. Babes were literally torn to pieces by the frenzied and bloodthirsty mob. The local police made no attempt to check the reign of terror. At sunset the streets were piled with corpses and wounded. Those who could make their escape fled in terror, and the city is now practically deserted of Jews." – The New York Times, April 28, 1903, page 6. The interviews Bialik conducted with the Pogrom survivors led to one of his most famous poems, In the City of Slaughter. 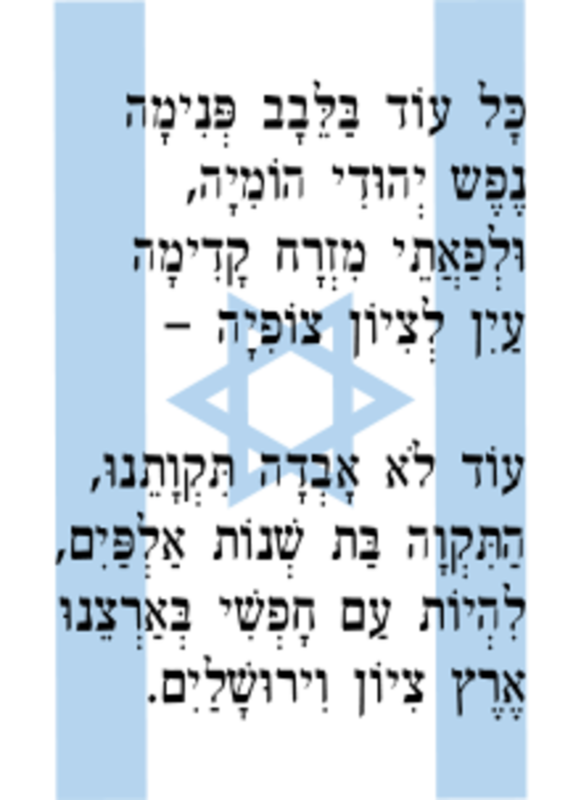 That single poem became a battle cry of the Haganah, a pre-statehood defense league in Israel that became the Israel Defense Forces at the 1948 Israel War of Independence. In 1921, after the Bolshevek Revolution, Bialik was granted permission to leave Russia. He moved to Germany and then immigrated to British Mandate Palestine in 1924.
in winter after you left my home. much evil and hardship too? my distant brothers yet near? that I suffer, great pains I suffer? so many, oh countless, who rose against me? 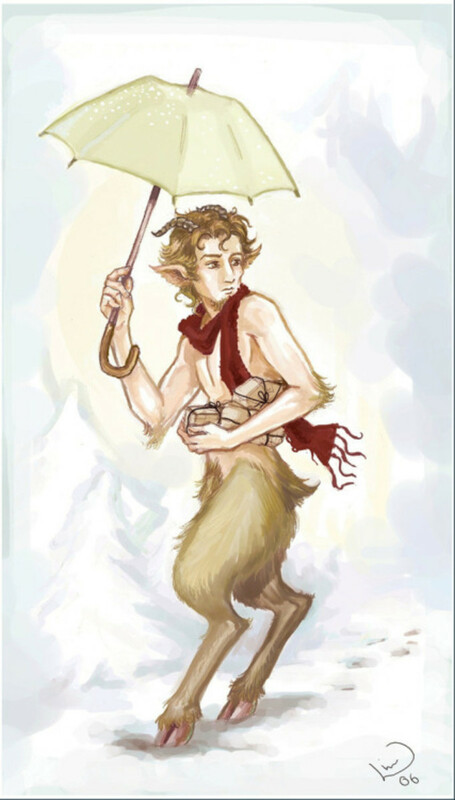 where spring will endure for eternity. 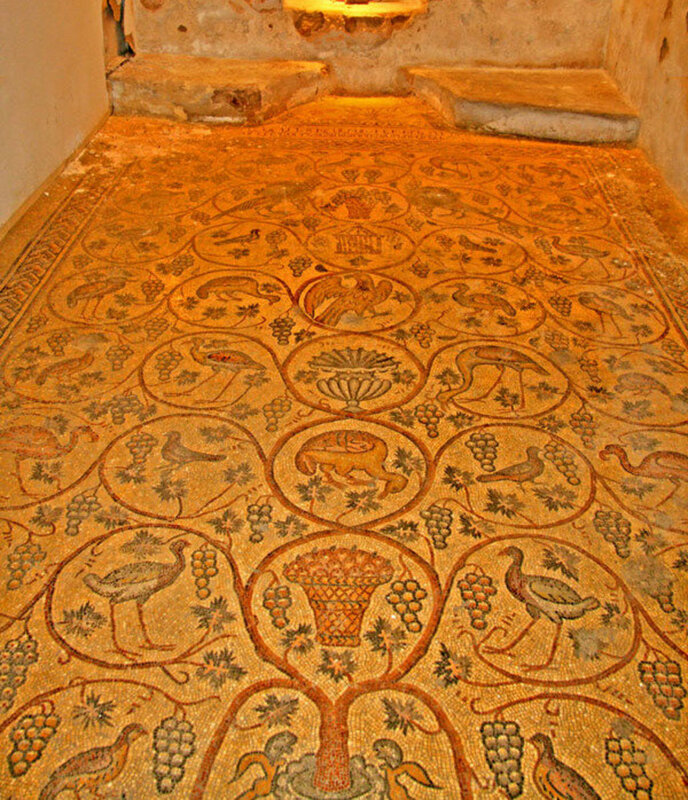 This mosaic tile floor was discovered in 1894 in the Old City of Jerusalem. 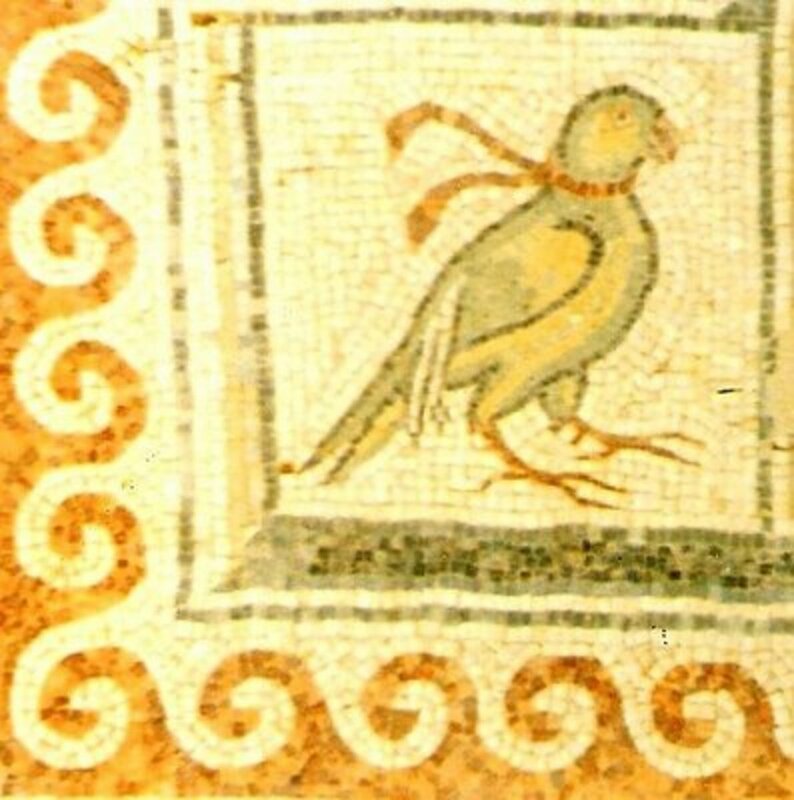 It is an exquisite record of the birds of Jerusalem in the 5th or 6th century. Israel is visited by more than 500 million migrating birds every year. When Mark Twain (Samuel Clemens) visited Jerusalem in 1869, he wrote of his tourist's journey on horseback from Jerusalem to Jaffa in his book, The Innocents Abroad. "For about four hours we traveled downhill constantly. We followed a narrow bridle-path which traversed the beds of the mountain gorges, and when we could we got out of the way of the long trains of laden camels and asses, and when we could not we suffered the misery of being mashed up against perpendicular walls of rock and having our legs bruised by the passing freight. Jack was caught two or three times, and Dan and Moult as often. "One horse had a heavy fall on the slippery rocks, and the others had narrow escapes. However, this was as good a road as we had found in [Ottoman] Palestine, and possibly even the best, and so there was not much grumbling." The journey required an overnight stay wherever a bed could be found. Most tourists in that day would arrive by ship at the ancient Mediterranean port in Jaffa, believed by some to be the oldest port city in the world. 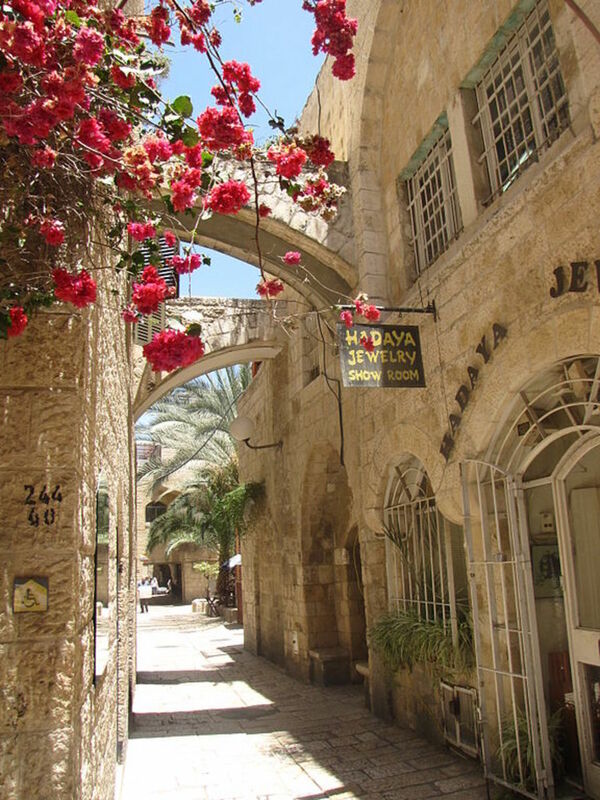 From Jaffa to Jerusalem, unlike Twain's journey in the reverse, is an uphill climb. Only physically fit foreign pilgrims would take the trip to see the most Holy City in the world. Opened in August, 1892, to carry pilgrims from the ancient port city of Jaffa to the Holy City of Jerusalem, the Jaffa to Jerusalem Railway forever changed tourism to the Holy Land. The convenience of the new railway brought global attention to potential Jerusalem tourists. 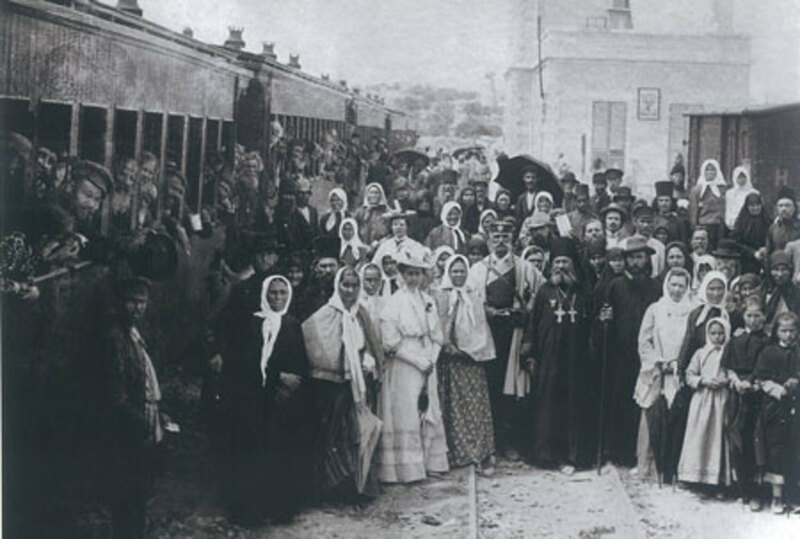 Many of the people in this Jerusalem photograph are pilgrims from Russia, and adherents of the Russian Orthodox religion. This was in the days before the Russian Revolution and many Russian people were religious devotees. So many visited Jerusalem, in fact, that the government of Russia established a huge complex and a hospital just outside the Old City walls in Jerusalem to care for the needs of the Russian Pilgrims. Today, the complex is known as The Russian Compound. The old railway station was closed in the 1990s and re-opened in April, 2013, as a cultural arts center. The railway scheme that is to ply 'twixt Jaffa and Jerusalem. Beware the fiend that peddles books – the awful peanut-boy beware. The traffic which the knavish ply 'twixt Jaffa and Jerusalem. From Nebo's mount to Nazareth will spread the cry "Repudiate"! Will rise profuse anathemas against "that – monopoly!" Will swamp that corporation line 'twixt Jaffa and Jerusalem. This is the view from a railway window as the Jaffa to Jerusalem line approached the hills of Jerusalem. 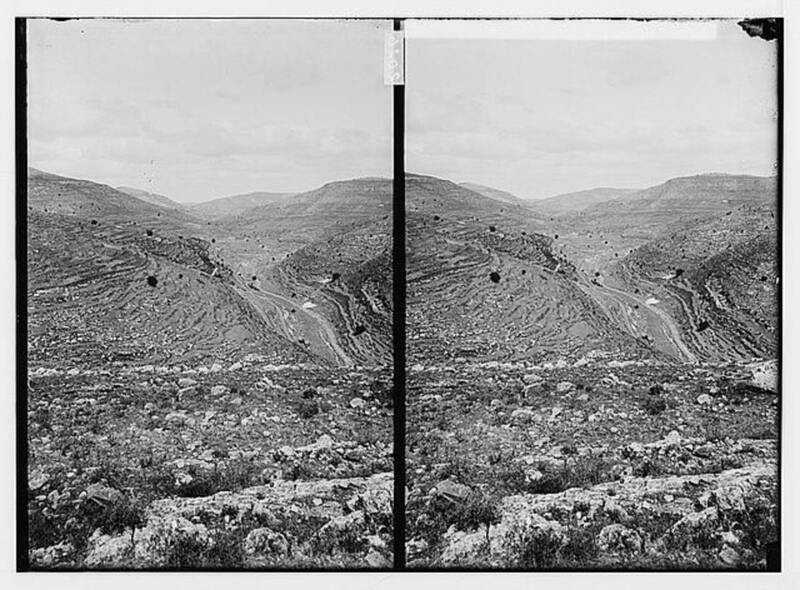 You will note that this photo is before the reforestation projects were implemented and that the hills of Jerusalem at that time were completely without trees, due to centuries of harvesting for firewood. 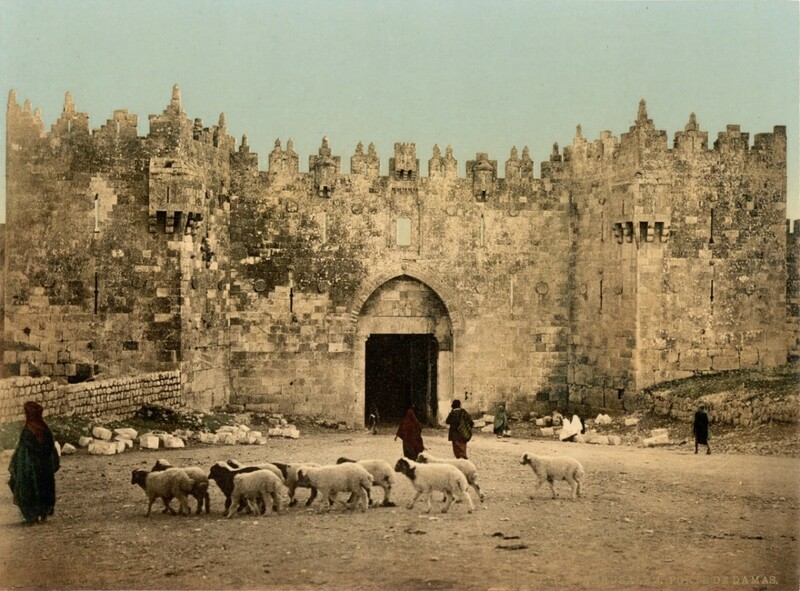 The Damascus Gate entrance to the Old City of Jerusalem, 1890. 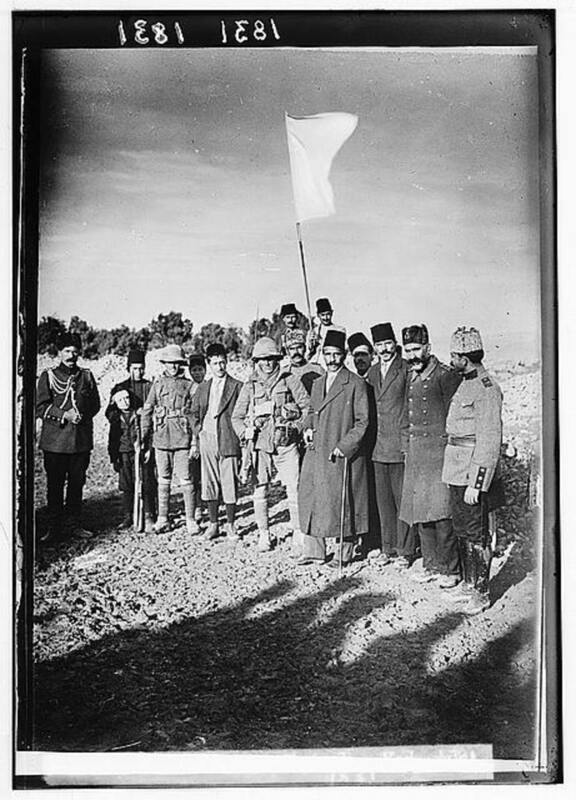 Archive photograph of the surrender of Jerusalem to the British, December 9, 1917. The Mayor of Jerusalem holds the white flag, and surrenders to two British sergeants, ending 400 years of Ottoman control of the Holy City. 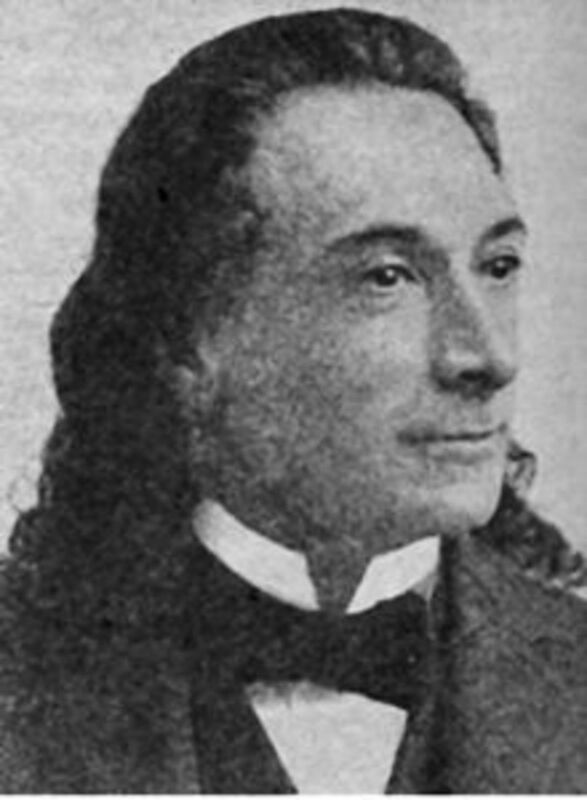 Naftali Imber published his poem Tikvateinu in 1877, while living in what is today called the Ukraine. When he immigrated to Israel, fleeing the Pogroms in Russia, the poem was published in his first volume of poetry in 1882. The first stanza and refrain in this poem became the song of the Zionist movement that was spreading in Central and Eastern Europe, calling for a return of Jews to their ancestral homeland. 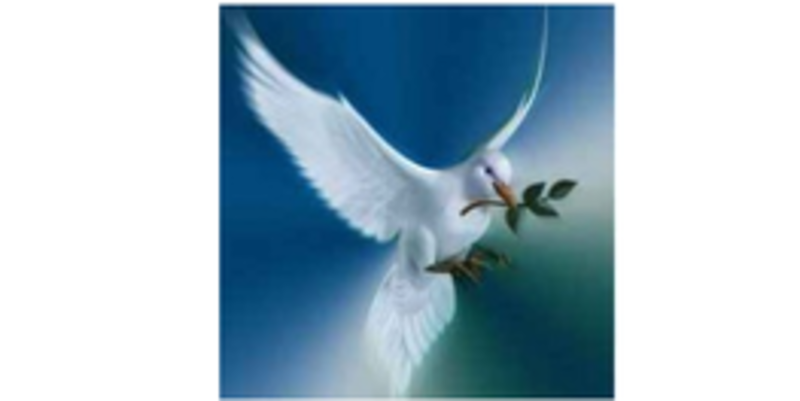 The song was called HaTikvah (The Hope). On April 23, 1945, a BBC reporter transmitted a report from the liberated German concentration camp, Bergen-Belsen. An impromptu Sabbath prayer service was held for the survivors, amid rotting corpses and thousands teetering on the verge of death. The survivors, who knew they were being recorded for a BBC broadcast, stopped their prayers and began to sing HaTikvah. Listen to this historic recording. The city where David encamped. Only there is the end of our hope! Go my people in peace, healing is imminent . . .
An eye gazes toward Zion. The Land of Zion, and Jerusalem. 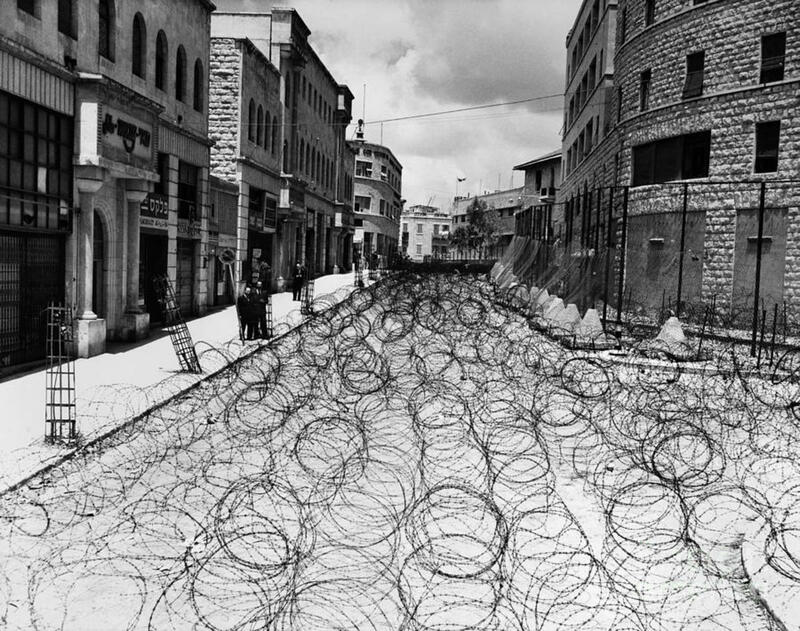 Jerusalem of Gold was written by Naomi Shemer three weeks before the unification of Jerusalem in the 1967 Six Day War, which ended 19 years of illegal occupation of Jerusalem by the Jordanians. The song was performed by Shuli Nathan at the Israel Music Festival on May 15, 1967, which was attended by many Israeli soldiers. How the pure gold has changed!" The gold in the Temple of Jerusalem melted when the Temple was destroyed by Babylonian soldiers during the reign (634 - 562 BCE) of the Babylonian King Nebuchadnezzar II. The empty marketplace, the dry cisterns, and the abandoned Temple Mount are all mentioned in the Book of Lamentations. The references from Lamentations used by Shemer in this song are well known in the global Jewish community. 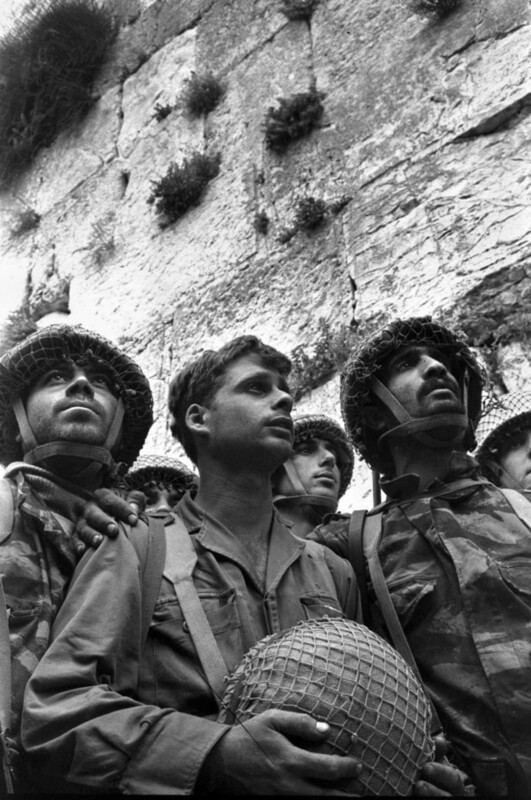 When Israeli paratroopers liberated the Old City and Eastern Jerusalem from Jordanian occupation in 1967, they were heard singing Jerusalem of Gold at the Western Wall of the Temple Mount. 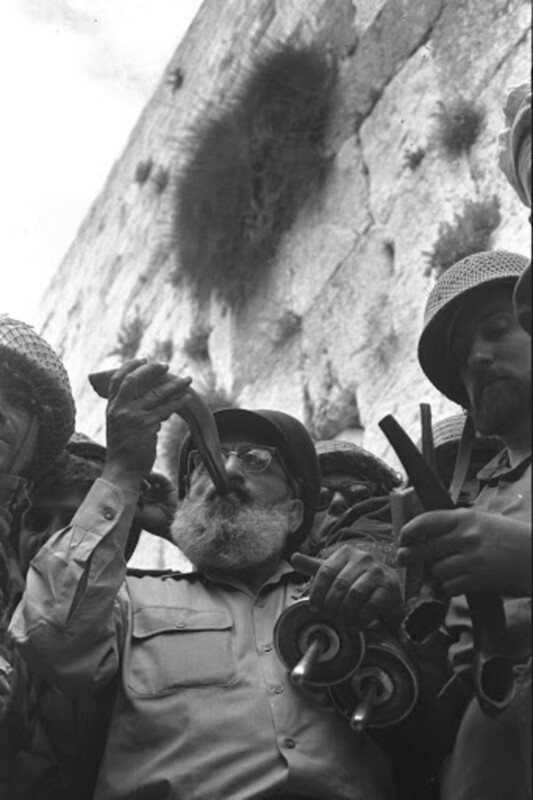 Captured in an iconic photograph, the Chief Rabbi of the Israel Defense Forces, Shlomo Goren, blew a ram's horn (shofar) at the Wall. 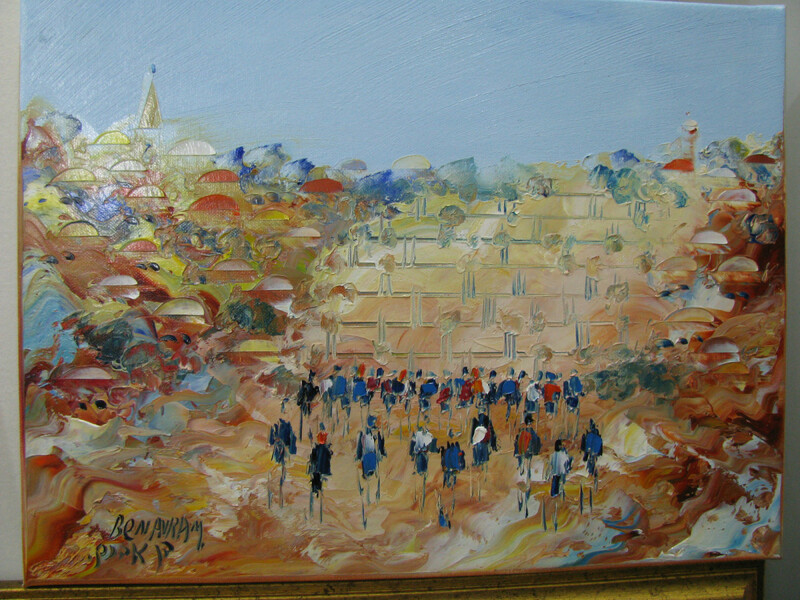 After the war, Shemer added verses to Jerusalem of Gold to reflect the new reality. And at its heart is a wall. Behold, I am a violin for all your songs. By the way of Jericho! 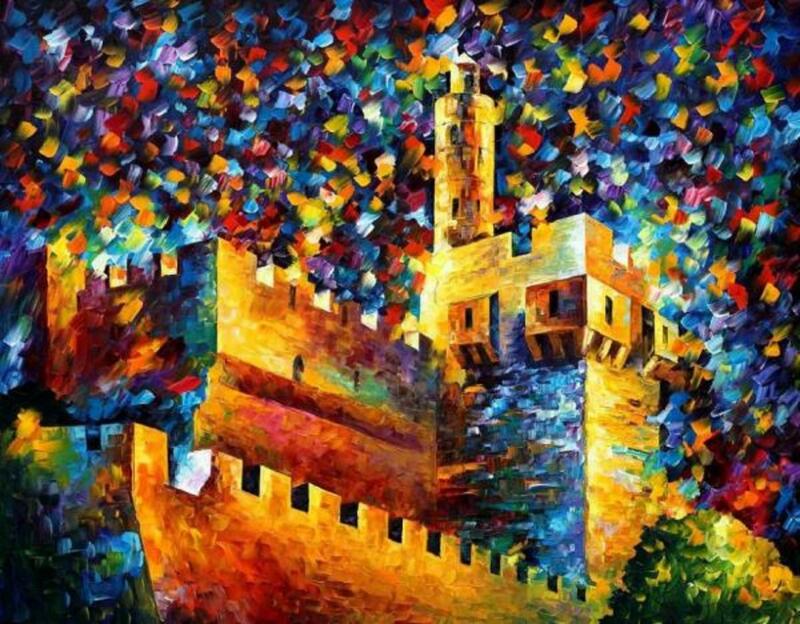 This painting of Jerusalem's Tower of David in the Old City comes with a Certificate of Authenticity. Click below to view enlarged picture. 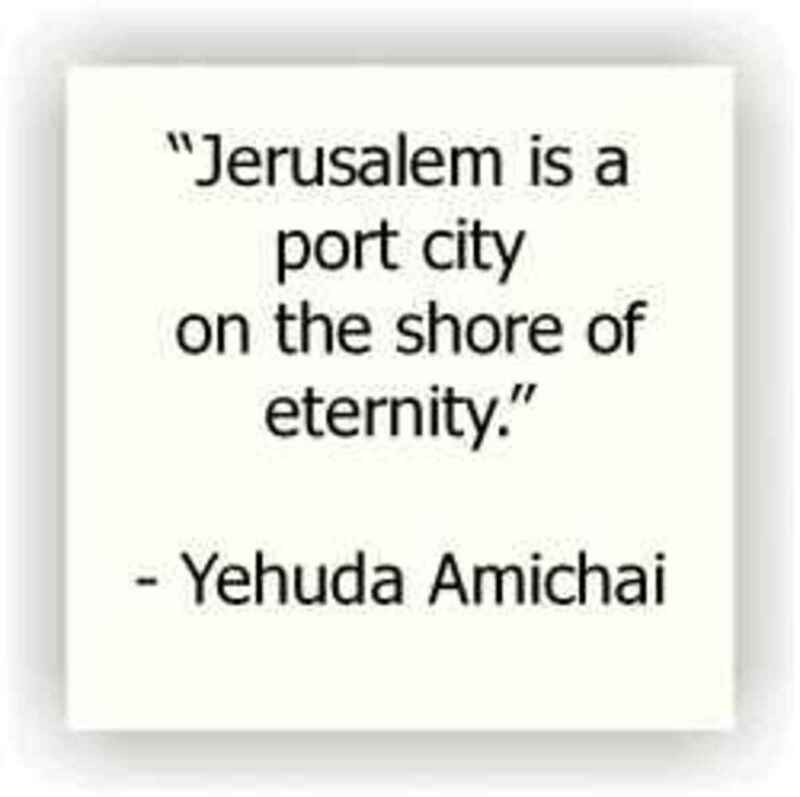 Yehuda Amichai (1924 - 2000) was born in Germany and immigrated to Israel with his family when he was 12 years old. Most of his adult life was spent in Jerusalem and the city is often referenced in his poetry. Amichai is considered the best modern Israeli poet and his work has been translated more than any other Hebrew poet since King David. that used to hurt don't hurt anymore. like the movement of a light veil: warning." The best of Yehuda Amicahai's poetry in English Translation. 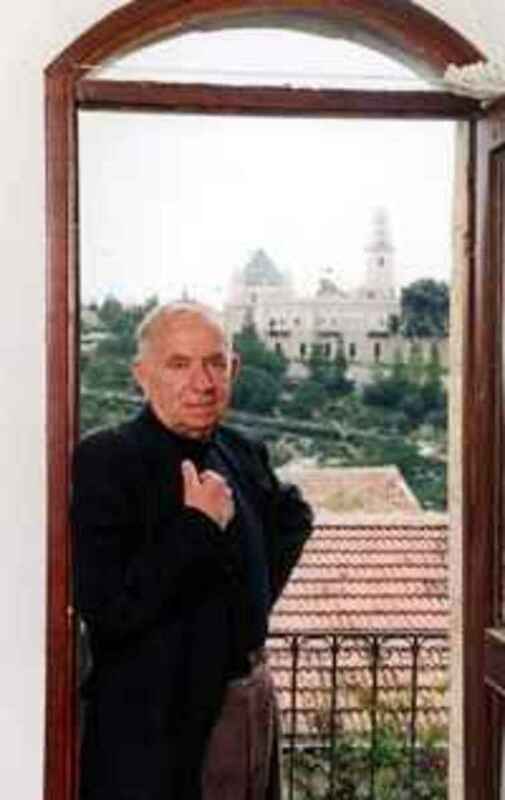 Poems by Yehuda Amichai in English translation. late offspring of this old landscape. and as we shall give it back. Sleep is where there are stones. are sung in a far country, and sweet. not far from the two sleepers. This poem is an excerpt from a new collection of Yehuda Amichai's poetry, featured at the right. 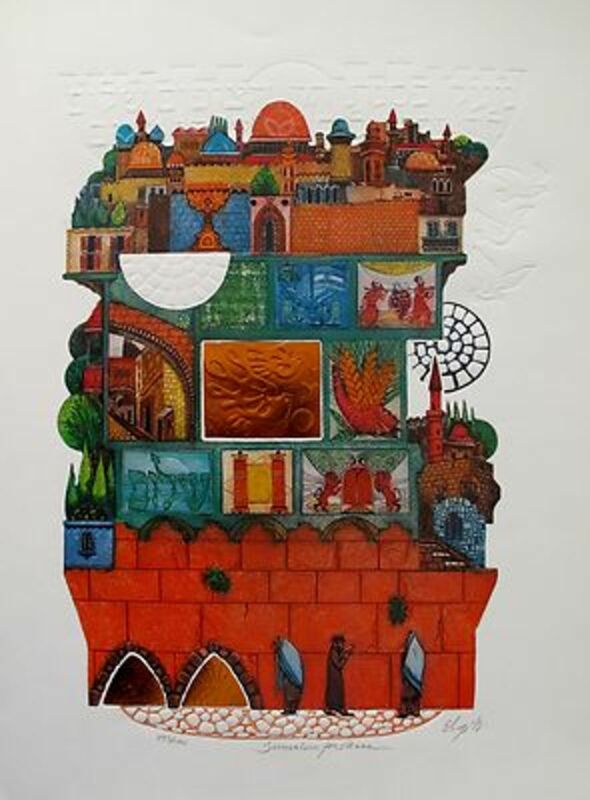 This is a collection of love poems and poems about the city of Jerusalem. 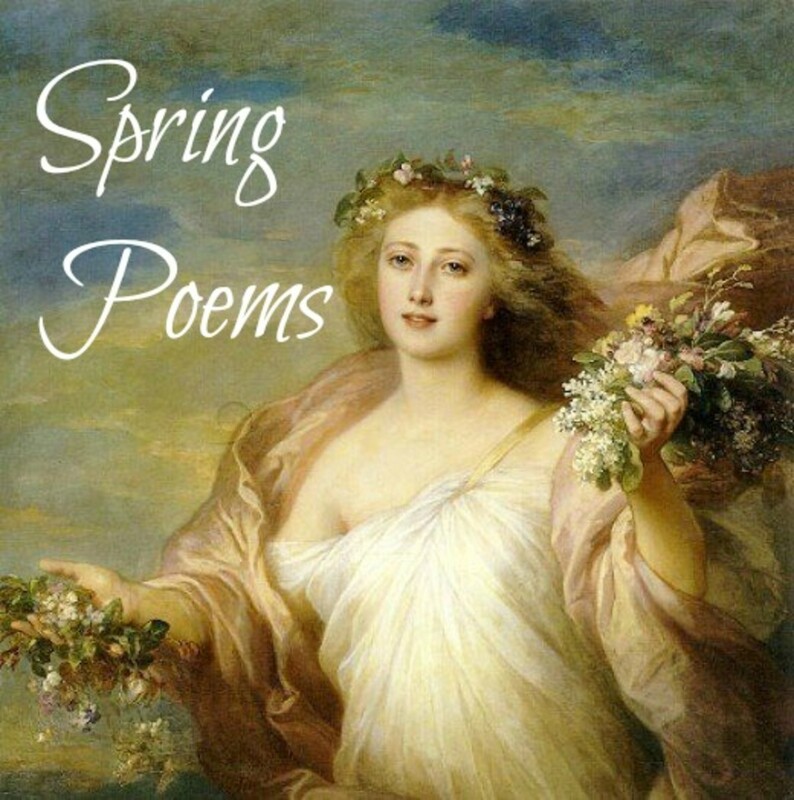 Click to view poem titles. Includes 40 new poems, never before published. and the houses and towers are its packing materials. Later these are discarded and piled up in dumps. lie in wait for their moment. This poem is an excerpt from the book, The Selected Poetry of Yehuca Amichai, featured at the right. Jerusalem Day (Yom Yerushalayim) is a national holiday in Israel and celebrates the reunification of the city during the June, 1967, Six Day War, on the 28th day of the Hebrew month of Iyar. This year, Jerusalem Day celebrations begin at sundown on on Saturday, May 16, 2015, and will continue until sundown on May 17th. The poems and songs in this collection are featured on Jerusalem Day in Israel and in Jewish communities around the world. Read this collection of war poems and poems written by soldiers in combat. Poems are presented from 9 wars and include Vietnam War songs. Read a narrative poem about achieving peace in Israel, first published in The Journal of New Jersey Poets. 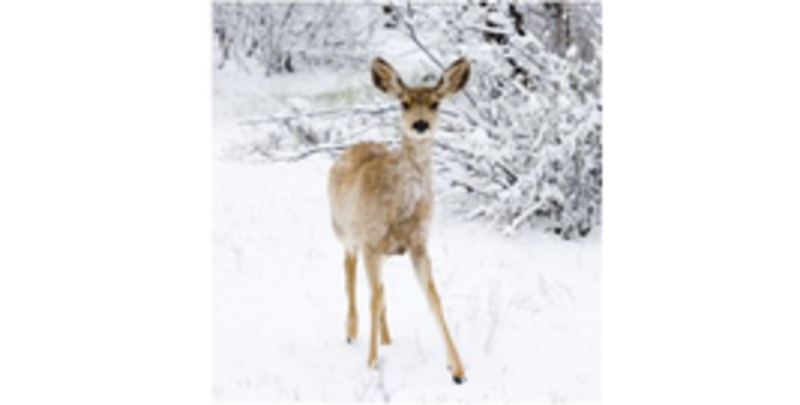 Find more than 50 poems about the winter season in this poetry collection. The 'Jewish Quarter in the Old City' photo is courtesy of Uporabnik. 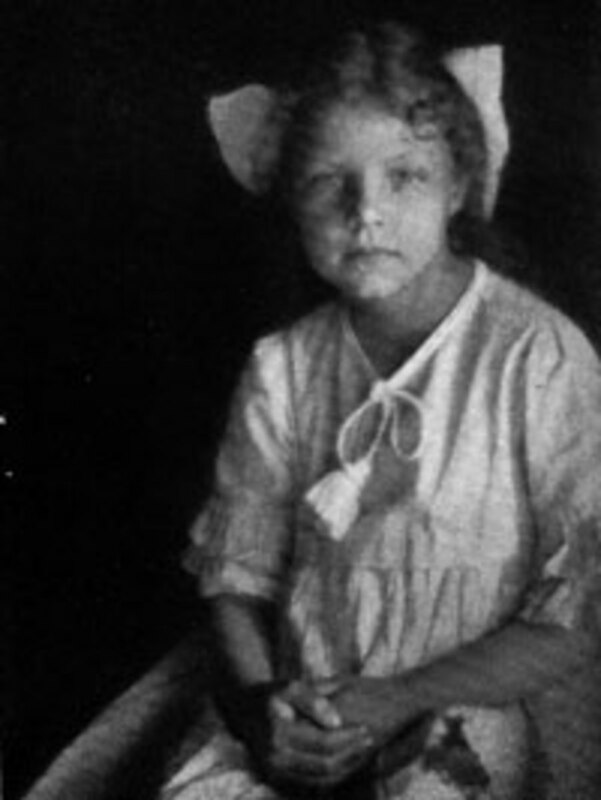 Hilda Conkling, Child Poet: Why Did She Stop Writing? Indeed, this is quite a hub. Really appreciated all the information and time that went into this.Thank you for all the poems of Jerusalem. There is no place on earth as special - for it is God's city now and in the future it will be awesome and magnificent - the throne of the King! In Jerusalem and on your hub page. Thank you Writer Fox. I certainly will be back. I'm so pleased that you enjoyed this collection. So many wonderful poems have yet to be translated into English so I could not include them here. As you can see, I am trawling your hubs for new and fresh information on that beautiful land! This is such a beautiful hub and the yearning and longing for the homeland comes through so clearly in the poetry. Thank you for all the research which you have put into this. And the pictures and songs are magnificent. Paul Wilbur does a beautiful rendition on one of his cd's of Psalm 122. The Song of Songs is one of the most famous poems ever written. I'm glad you found this collection. This calls for more than one visit, and I intend to come again. Went straight to Song of Songs and a few sections after. Thanks for the information. Good presentation!